Do sovereign risk and credit ratings really reflect invstor risks? Do sovereign credit ratings fully reflect investor risks? Sovereign risk ratings –commonly referred to as credit rating - determines the level of interest a country has to pay for loans and credits. It is therefore a very important parameter for every economy – it defines the level of capital cost for new investments, whatever the nature of those investment may be. The credit rating also affects the risks an investor is willing to take in overseas investments. 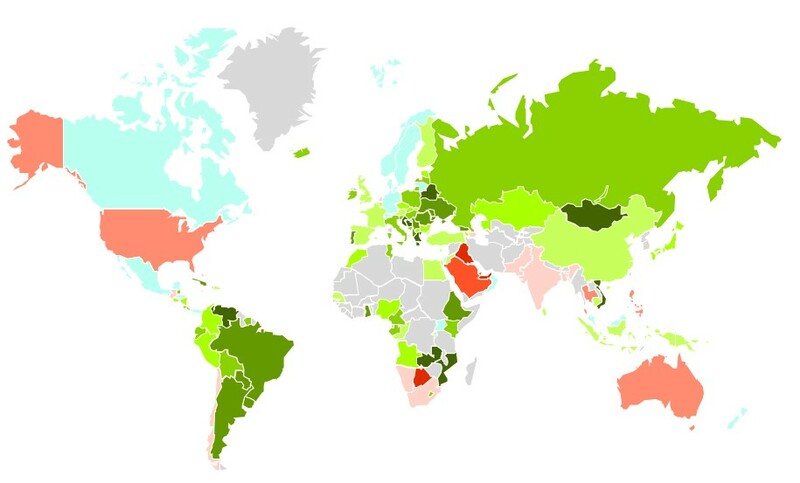 Sovereign risk ratings are calculated by a number of rating agencies, most notable (and defining) by the “three sisters”: Moody’s S&P, and Fitch. The publications and ratings of these three companies therefore have a significant impact on the cost of capital of a specific country. 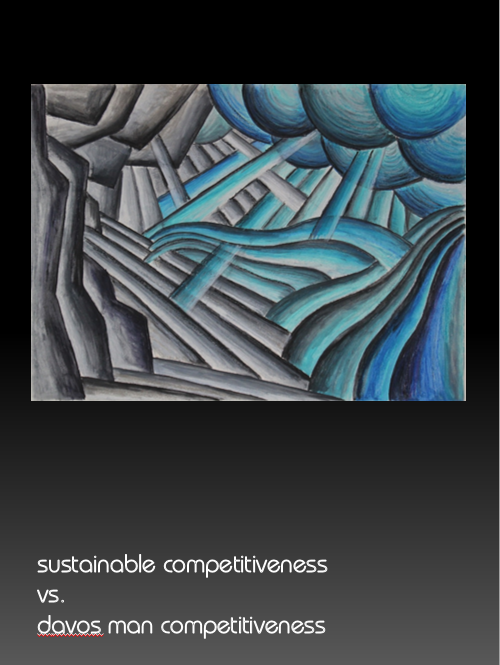 Sovereign risks are calculated based on a mix of economic, political and financial risks – i.e. all current risks that, like GDP calculations, do not take into account the framework that enables and defines the current situation. They do not look at or consider the wider environment – the ability and motivation of the workforce, the health and well-being, the physical environment (natural and man-made) that have caused the current situation. 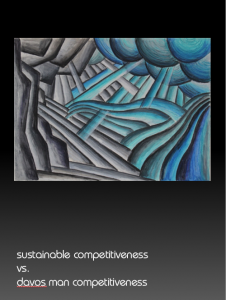 Credit ratings describe symptoms, they do not look at the root causes. 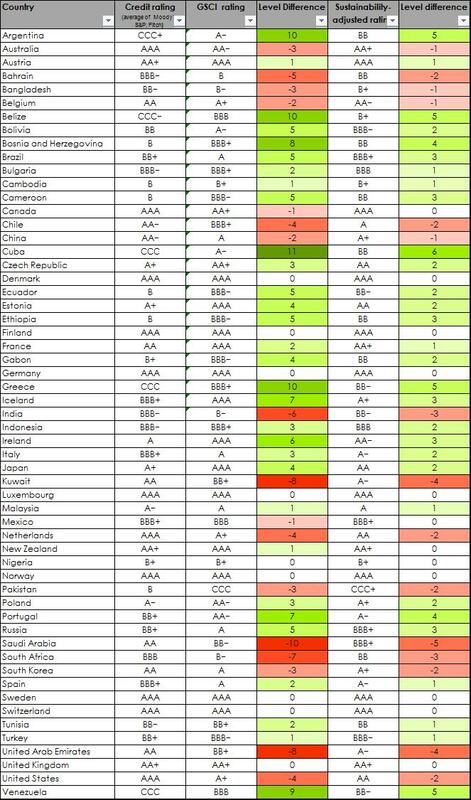 It is therefore questionable whether credit ratings truly reflect investor risks of investing in a specific country. 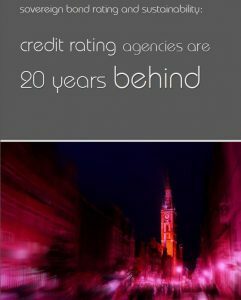 Credit ratings describe symptoms, they do not look at the root causes.